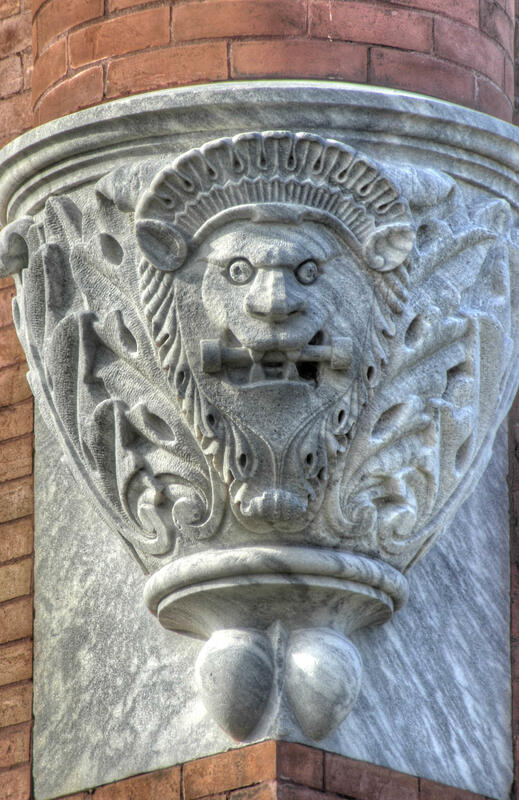 Brunswick's Old City Hall has developed a split personality. This part-time city courthouse doubles as Brunswick's new venue of choice for everything from class reunions to wedding receptions. 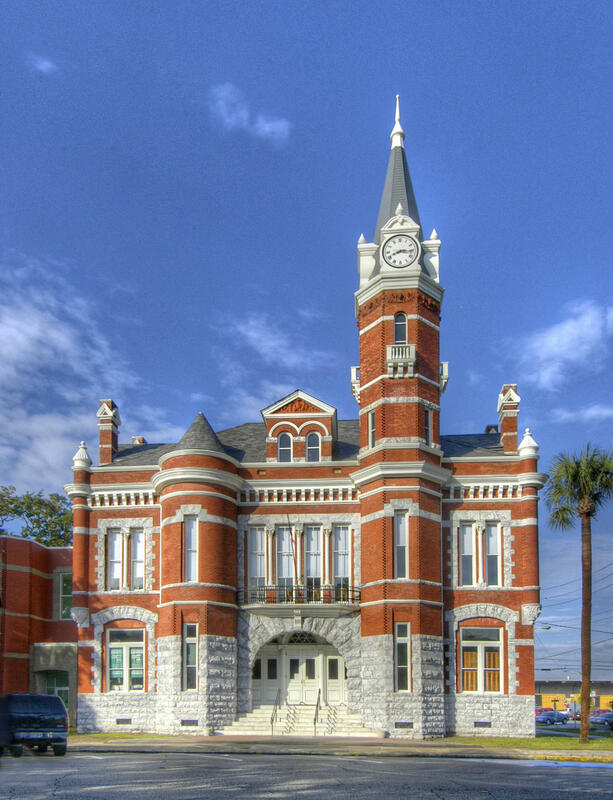 Built at a cost of $33,000, Old City Hall was fully restored with special purpose local option sales tax (SPLOST) dollars and reopened in 2004. Its gleaming heart-pine and marble floors, original vintage fireplaces and newly refitted gaslight fixtures lend an air of old fashioned elegance to any gathering. Construction on Old City Hall began in 1886 from an architectural design by Alfred Eichberg, and was completed in 1889, with the installation of the clock/bell tower in 1893. 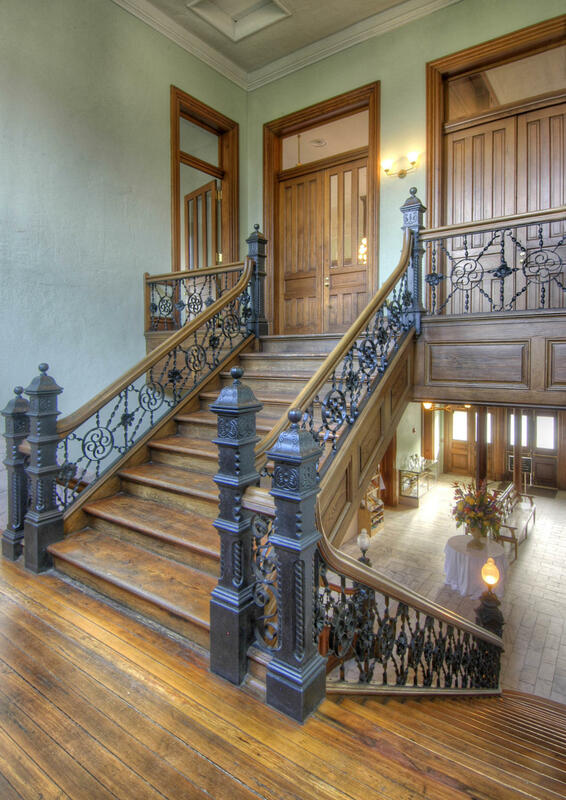 The architectural style is "Richardsonian Romanesque", with Queen Anne parallels. Massive in stature, with the unusual addition of Italianate brackets, Romanesque architecture was the style of choice for the majority of public buildings built in the United States during this period. Elaborate terra cotta friezes decorate our Old City Hall clock tower and side entries, while the corner columns adorned with gargoyles gaze welcomingly at you and your guests. The only facility of its kind open to the general public in Brunswick, Old City Hall offers a wonderful historic structure with elegant appointments at a modest price. 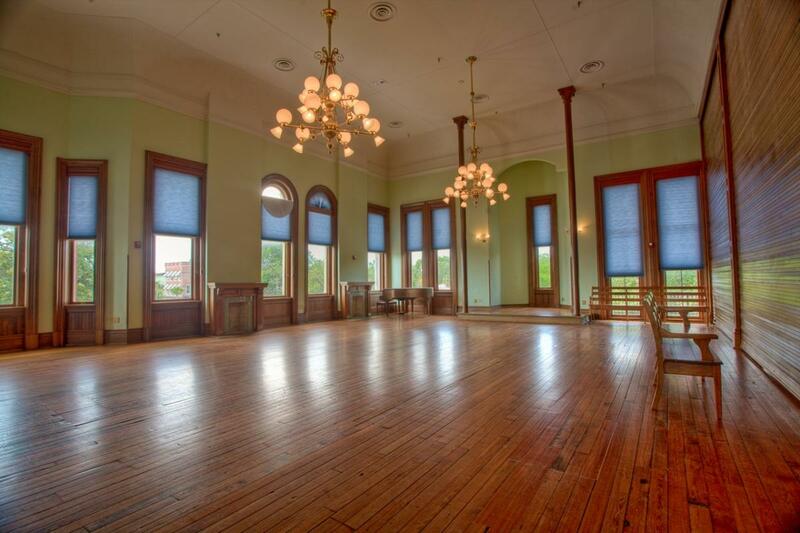 For more information on renting the Old City Hall for a special event, click here.